20th Anniversary of PPC Celebration Interview: George Barnard | Signs Up! 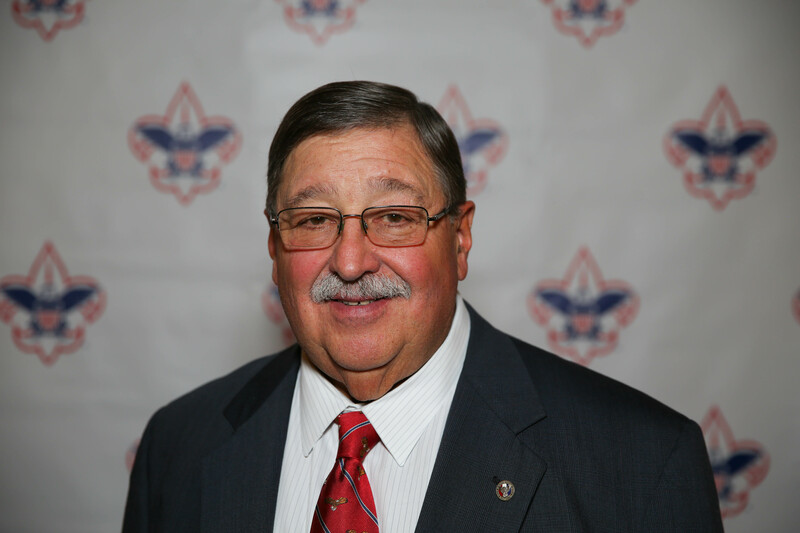 George joined Scouting as a Cub and earned his Eagle Award in 1967. In his spare time, he enjoys fishing and boating with his family. George is a father of a married daughter and an Eagle Scout son. President of MCM Mechanical Corp. in Fairfield, he is involved with the Freemasons, the DeMolay for boys and Rainbow for girls and is the President of the National Association of Masonic Scouters. His awards include the Silver Beaver, the 30-year and 35-year Veteran Awards, the James E. West Fellowship Award, the Eagle Hall of Fame, the District Award of Merit, the Good and Country Award, and the Council Trailblazer Award. Q: Were you a President or a Commissioner? Q: What years did you hold this position? Q: What was the most memorable experience during your term? A: Our first Eagle class of over 400 Eagle Scouts and the new Chief Scout Executive Michael Surbaugh’s visit to our Eagle Recognition Dinner and Executive Board visit. Q: What would you say was your biggest accomplishment during your term? A: Our continued improvement in our JTE scores in what we recognized as weak points in our program. And definitely our continued growth in diversity of our communities. Q: If you were to do it again, what would you do differently? A: I am not sure I would have done much different, I am who I am, and my feelings for this council I hope have guided me in every step of the way. Q: How many hours do you think it took to accomplish the position? A: Are you really trying to scare me into seeing that? Let’s just say it took years of service leadership to prepare for the challenges that this position requires. I have been blessed with presidents that proceeded me that I have learned so much from and still do. They all were and still are devoted to program. Q: What do you hope to see in the next 20 years of PPC? A: The continuing capital improvements in our camps, as well as our growth in serving the many diversities within our council. We are presently under serving youth in so many areas, making our potential boundless. And a Scout executive that comes close to leadership and growth we had with Dennis Kohl over these past 20 years. Q: In what ways has Scouting/PPC benefited you? A: Scouting has help guide and shape me my entire life. The life lessons it taught got me through many personally challenging times. It does truly “Prepare you for Life”. My years at PPC have truly helped and challenged me in understanding the financial side to the organization and have utilized many of the things learned in my own business. It has also allowed me to see the truly amazing volunteers this council is blessed with along with a staff that is second to none.